the very best coaching in the industry involves more than just clever strategies to win the outer game of material events. 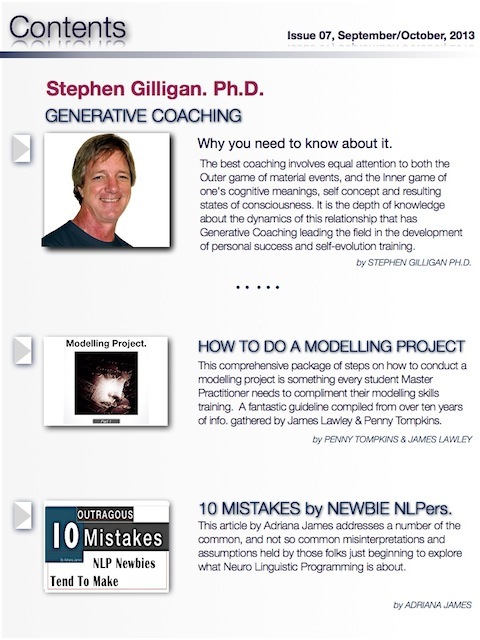 Find out why you need to know about Generative Coaching and self-evolution training. * Dr. Adriana James reveals the 10 MISTAKES BY NEWBIE NLPers and the assumptions held by folks just beginning to explore what Neuro Linguistic Programming is about. Have you done this? 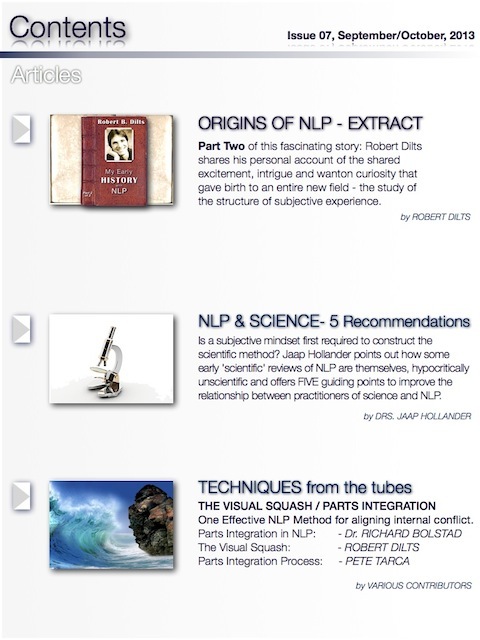 * Robert Dilts continues with part 2 of MY EARLY HISTORY with NLP: a fascinating story wher Robert Dilts shares his personal account of the excitement, intrigue and wanton curiosity that gave birth to an entire new field – the Study of the Structure of Subjective Experience. Is a subjective mindset first required to construct the scientific method? 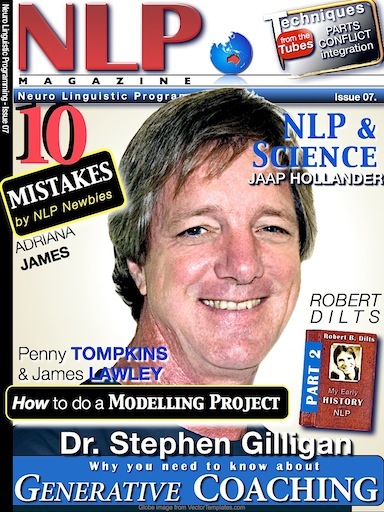 Jaap Hollander points out how some early ‘scientific’ reviews of NLP are themselves, hypocritically unscientific and offers FIVE guiding points to improve the relationship between practitioners of science and NLP. * TECHNIQUES: An Effective Method to Align Conflict and Be At Peace.